Q: Is there a fee for an estimate?Q: Is there a fee for an estimate? A: NO. We offer complimentary evaluation consultation appointments 7 days a week from 9am to 7pm. A: Absolutely not. The primary goal of the evaluation consultation is to select the right window, door, siding, roof or maintenance free gutter system for you and your home. We offer multiple product lines from Andersen® , Gutter Shell, Atlas Roofing system, Gaf roofing system, and Alside Siding, as well as other manufacturers. We listen to your needs and priorities and work with you to select a product that’s just right. We then answer any questions you may have and leave you with a computer generated, “to the penny” price that’s good for 30 days. 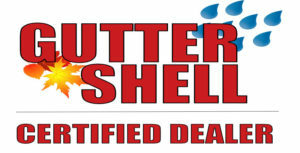 If we earn your serious consideration, we also share with you any promotional discounts we may be offering. No “dog and pony show,” no “canned sales pitch,” and no games or high pressure. Q: How long will it take to get my windows once I place an order? A: It depends. All your windows and doors will be custom made expressly for your home. Roofing, siding, and maintenance free gutters are started very quickly. Lead times can vary greatly based upon which product you select due to securing permits. On average, we have our projects completed within 1-6 weeks from when the order is placed. Q: How many days will it take for my project to be completed once the installation starts? A: At America Home Crafters Remodeling, we allocate enough manpower to get most jobs done in just one day. Even the largest projects only take between 2-4 days. Q: Can I do the project in phases? A: Yes. 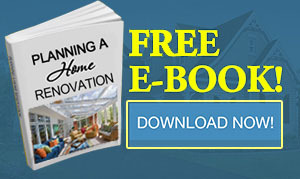 In fact, most of our customers start by doing just a portion of their home. 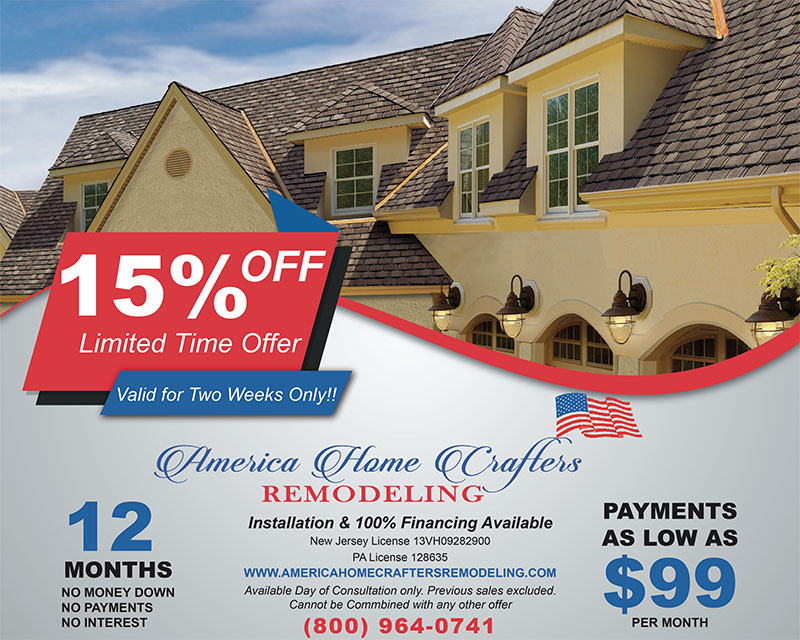 America Home Crafters Remodeling offers a Price Guarantee Program that allows you to do the project in stages without having to pay for any future price increases and getting the same discounts applied to all future work. A: Yes, we work with several major lenders and banks to provide financing to our customers. In fact, we have programs that are not available to the public such as no equity required programs, zero percent financing, and tax deductible financing. Q: I see a lot of advertising by Renewal by Andersen, does America Home Crafters Remodeling offer Renewal by Andersen windows? A: NO. Renewal by Andersen is the replacement window division of Andersen® that exclusively offers Renewal by Andersen Fibrex composite windows. Those windows can only be purchased from an authorized Renewal by Andersen affiliate. 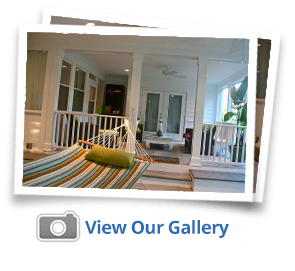 America Home Crafters Remodeling is not an affiliate and does not offer the product. The Renewal by Andersen window is a superior quality product and the Philadelphia area Renewal by Andersen affiliate is a good company that does great work. We recommend getting quotes from both America Home Crafters Remodeling and Renewal by Andersen, that way you can see all your options and decide which window is best for you and your home. Whatever you decide, you will get a great window from a good company.